While scrolling through my Instagram feed, that is increasingly dominated by trendy, perfectly posed food pictures, my attention was caught by a recipe for gluten free spring rolls. After taking a closer look, I was surprised to find that this recipe was actually a Whole Foods ad that had sublimated itself into my regular content. We’ve discussed paid social and content marketing in my recent blogs. What if there was a blend between the two? An advertisement disguised as regular content?! Who knew. Now I’m guessing Whole Foods sees me as a pretty valuable customer. Are there more ways for them to reach me besides paid social, SEM, and traditional advertisements? Well, since we are dealing with digital marketing, that mean that the options for reaching your audience are virtually endless. There are two additional types of advertisements that have grown increasingly valuable in the the recent years. Traditional advertising has been built upon buying ad space next to editorial content. Native advertising is a relatively new concept in the marketing community that disguises ads into regular content. If that definition turns your brain into mush, think about it this way. Native ads are essentially paid content marketing. What’s all the hype about? Well, I’m glad you asked. Even though it’s difficult to track the success of native advertising, it has revolutionized the way that brands communicate with consumers. It gives brands a chance to be apart of the conversation. Is it as cool as Zach Braff in Garden State? Probably not, but it’s worth a shot. Most of you are probably familiar with Buzzfeed; yes I know, it’s click bait at its finest. What if I told you that the majority of Buzzfeed content is actually sponsored by brands? These seamlessly integrated articles provide consumers with meaningful content that is sponsored by the brands. Take this donut article for example. (Of course food is my go to choice). After Buzzfeed lures you in with its catchy titles and scrumptious cover photo, you have the option to take a quiz that tells you what kind of donut you are. If you notice at the top of the article, the quiz is conveniently sponsored by Dunkin Donuts. There is a reason that native advertising has taken off over the last few years. The main reason being that ads such as these get an astonishing amount of earned media attention. However, many brands still have concerns about native because it makes it particularly difficult to measure ROI. Another reason that native has yet to overcome traditional media is the confusion of whether or not the ads themselves are effective. Many native ads have generated a noticeable amount of buzz due to the hype and controversy of the new strategy. It still remains unclear if the native ads are producing the positive effects of if the conversations alone are drawing attention to brands. Either way, native ads are becoming more and more integrated with traditional strategies. Another up and coming trend in the advertising industry is programmatic advertising. (Programmatic Huh?) Yeah, that’s what I said. Programmatic ads are highly targeted and automatic ad purchases. In other words, these ads are put into a software used to automate, placement, and optimization of the ads through a bidding system. Ad Week describes programmatic as purchasing ad space in the same way that products are bought on Amazon. 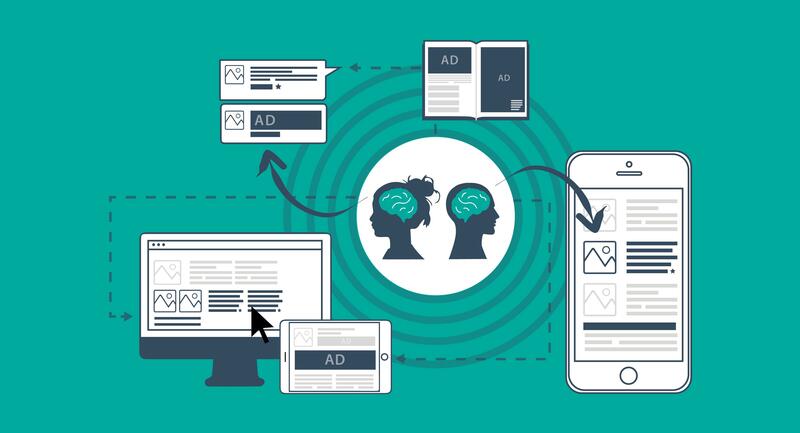 Here is a thoughtful introduction to programmatic from Acuity Ads. Now that we have a clear picture of what programmatic looks like, let’s take a look at how it’s affecting the industry. The Social Times recently found that 87% of marketers are seeing a greater return from programmatic advertising compared to traditional methods. This shift in strategy has encouraged marketers to start investing more and more in programmatic and automation. By the end of 2017, programmatic spending is expected to increase to $32 billion. Additionally, 85% of banner ads are predicted to be placed programmatically by 2020. We can’t deny the drastic increase in programmatic numbers over the last several years. Many creatives are beginning to squirm at the threat of increased automation in the industry. In terms of copywriting and imagery, the creative side of advertising is still critical to producing a quality product. Both native and programmatic advertising are opening doors within the world of digital marketing. Brands can either learn to adapt to changing trends or fall behind in technological advances. However, businesses that continue to evolve their digital strategies with programmatic and native will ultimately connect better with their audience. Thus, creating lasting relationships by delivering rich and meaningful content.